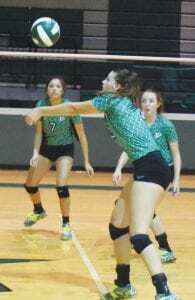 Pleasanton’s volleyball team produced a strong start to the regular season. The Eagles dumped Sam Houston on the road in three sets, 25-9, 26-24, 25- 10 on Aug. 6. On Aug. 7, the Eagles played two opponents in their first night of home action. To start, Pleasanton swept Randolph in three sets, 25-15, 25-17, 25-20. The Eagles broke away from the Ro-Hawks with rallies in the middle of each set. A kill by Kaycie Shannon spurred a 7-0 run for a decisive 17-11 edge in the first set. After trailing 12-10 in the second set, Pleasanton went on an 8-2 run. The Eagles scored the last five points of the set. 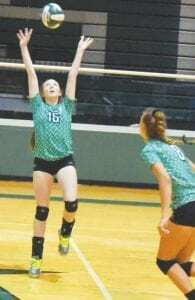 Facing a 15-14 third set deficit, Laken McAda had a kill that started a 9-0 run to help complete the win. The result of the Eagles’ match against Devine is not available since it finished after press time. 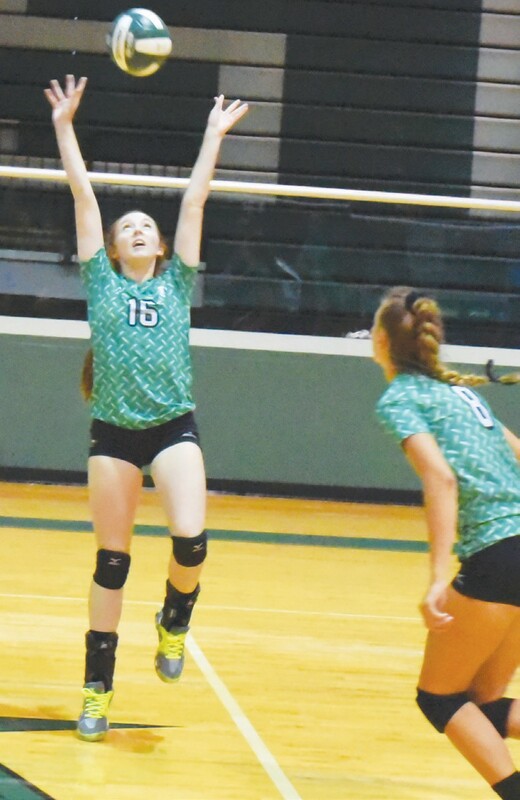 Pleasanton hosts its home tournament Aug. 10-11. 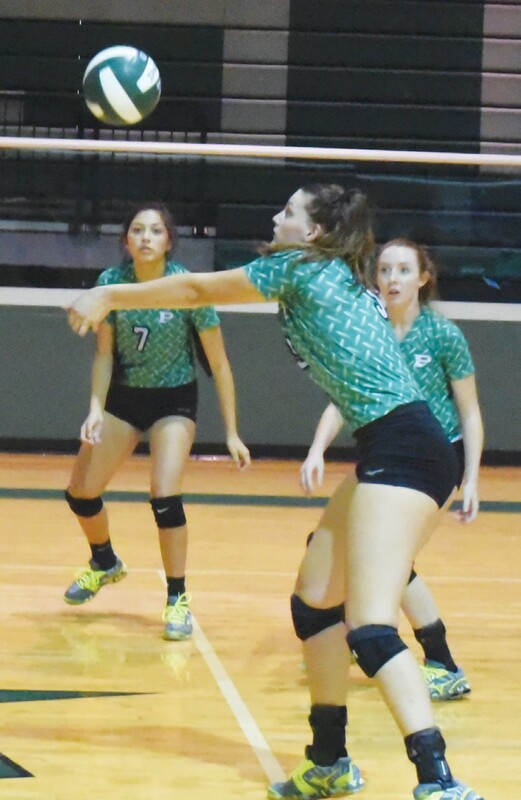 The Eagles’ pool play games will be against Carrizo Springs at 9 a.m., against McMullen County 11:30 a.m. and against Burbank at 2 p.m. on Aug. 10. McMullen County also plays Burbank at 9 a.m. and Carrizo Springs at 2 p.m. in pool play.